Should Blood Splatter Experts Be Excluded Under Daubert? Fans of the CSI shows know that forensic experts can provide valuable evidence to help convict the guilty. Criminal defense lawyers know that forensic experts can help innocent defendants avoid conviction by exposing junk science relied upon by prosecutors. Examples of junk science that lead to wrongful convictions include bite mark comparisons, hair analysis, and ballistic tests. The National Commission on Forensic Science had undertaken the important work of documenting the use of junk science in criminal courts until the Justice Department under former Attorney General Jeff Sessions decided not to renew its mandate. That more work needs to be done was made clear by a recent ProPublica investigation of blood splatter experts. While judges in Daubert states insist upon rigorous scientific validation before admitting expert testimony in civil cases, judges have consistently allowed blood splatter experts to testify in criminal cases without requiring proof that their opinions are based on a reliable methodology and sufficient facts. Blood-pattern analysis was popularized by Herbert MacDonell in the 1970s. After setting up the unaccredited Laboratory of Forensic Science in his basement and naming himself its director, MacDonell began traveling around the country in a quest to convince prosecutors that he had refined a forensic technique that would help prove the guilt of criminal suspects. MacDonell soon began to earn a living by setting up Bloodstain Evidence Institutes and teaching 40-hour courses in blood-pattern analysis. He opened the course to anyone who wanted to take it, including police officers who had no scientific training. He gave certificates to students who passed. Of course, her certified nearly all of his students as experts. According to the Texas Court of Appeals, “MacDonell’s studies are based on general principles of physics, chemistry, biology, and mathematics, and his methods use tools as widely recognized as the microscope.” An appropriate response to that observation might be, “So what?” There is a vast difference between citing “general principles of science” and applying specific principles as part of a reliable methodology that produces accurate results. Courts continued to allow blood splatter experts to testify even after a 2009 report by the National Academy of Sciences (NAS) found that “the uncertainties associated with bloodstain pattern analysis are enormous,” and that experts’ opinions were generally “more subjective than scientific.” Courts largely ignored that report, and MacDonell continued to testify as the field’s leading expert until 2012, when he was accused of sexually assaulting two minors. He retired that year. The report explains that patterns blood might make when exiting a wound are “highly variable” and will depend, among other factors, upon the particular damage done to soft tissues, the motion of the body after the wound is inflicted, and the impact of gravity on blood as it exits a wound. Blood-splatter experts often lack sufficient data to make an informed judgment, and many experts “extrapolate far beyond what can be supported” by the physical evidence. According to the NAS, the interpretation and reconstruction of blood stains requires, at a minimum, an understanding of applied mathematics, the physics of fluid transfer, and the pathology of wounds. Yet most crime scene analyists who testify as “experts” in blood-splatter analysis are police officers who have no scientific education at all, much less an understanding of applied mathematics, physics, and wound pathology. The NAS specifically notes that workshops are not an adequate substitute for knowledge gained through scientific training, experimentation, and experience. The report also criticized organizations that purport to “certify” bloodstain experts based on a certain number of training hours. Certifications are awarded to people (usually police officers) who have no scientific education and who have not demonstrated a mastery of the “rigorous and objective hypothesis testing” and “complex nature of fluid dynamics” that is essential to the formation of reliable opinions about the cause of blood patterns. In the end, the report notes, “the opinions of bloodstain pattern analysts are more subjective than scientific.” Yet courts around the nation have been bamboozled into admitting prosecution-oriented evidence from police officers who are deemed to be experts on the basis of meaningless certificates awarded by training institutes that exist solely to make money. 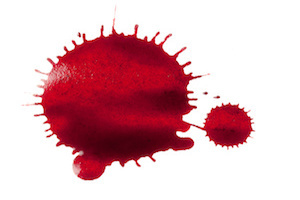 Concluding that the “uncertainties associated with bloodstain pattern analysis are enormous,” the NAS report recommends a methodology that includes “many experiments . . . to determine what characteristics of a bloodstain pattern are caused by particular actions during a crime and to inform the interpretation of those causal links.” Rare will be the police officer “expert” who conducts any experiments at all. While enthusiasm for Daubert was driven by business and insurance interests that lost civil trials due to expert testimony they believed to be founded on “junk science,” courts have been slow to apply Daubert to the shaky forensic science upon which criminal prosecutions are often built. Defense attorneys should nonetheless mount vigorous challenges in Daubert states to the unreliable methodology and insufficient data that underlies most expert blood-splatter testimony. In non-Daubert states, attorneys should use the NAS report and experts of their own to challenge the qualifications of a police officer who has no scientific education beyond completion of a blood pattern course. Given the judicial reluctance to screen dubious evidence in criminal prosecutions, defense attorneys should also engage qualified experts, including experts in fluid dynamics and science methodology, to discuss flaws in the conclusions drawn by prosecution experts. Whenever the prosecution relies upon dubious experts, the defense should counter with reliable experts who can help juries understand the difference between real science and junk science. Prior to his retirement, T.C. Kelly handled litigation and appeals in state and federal courts across the Midwest. He focused his practice on criminal defense, personal injury, and employment law. He now writes about legal issues for a variety of publications. Let Us Help Find You An Expert Let's Get Started! Interested in Getting Paid to be an Expert Witness? Learn More Here. Use for marketing or solicitation is prohibited. ExpertPages®, AttorneyPages® and FreeAdvice® are trademarks and units of Advice Company.